On the 4th Day of the second test match between England and India, James Anderson achieved the 100th test wickets at Lord's. James Anderson's also picked up 550th test wickets when Bairstow caught Vijay behind the stumps. English pacer took 23 tests to dismiss 100 batsmen. English pacer took 23 Test matches to reach the 100 wicket landmark at Lord’s with best figures of 7/42. As per the records, James Anderson has taken six five-wicket hauls at Lord’s. Following Stuart Broad with 79 wickets in 21 Test matches at Lord’s. 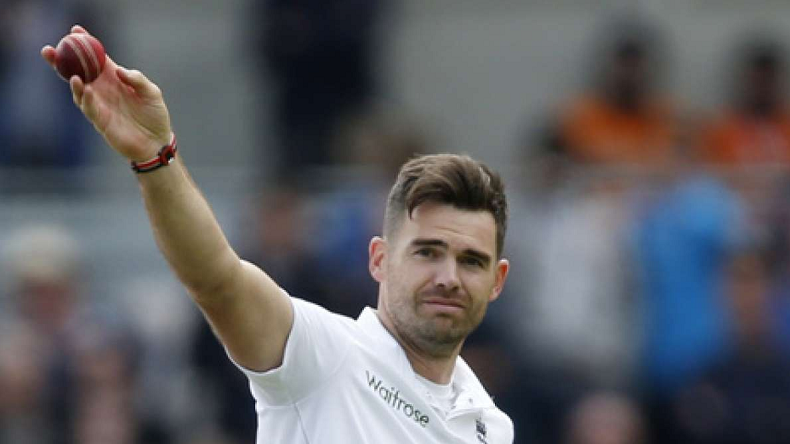 James Anderson dismissed 4 Indian batsmen in the first test match at Edgbaston in Birmingham. On the Day 4 of the second test match, England marked a lead of 289 runs and declared the innings on 396 runs after the dismissal of Sam Curran (40). All-rounder Jonny Bairstow remained unbeaten for 137 runs and created a big challenge for Virat Kohli and men. English batsman Chris Woakes resumed his innings on the same aggressive note and added quick 17 runs against his name, while both the batsmen added 39 runs to the score tally.